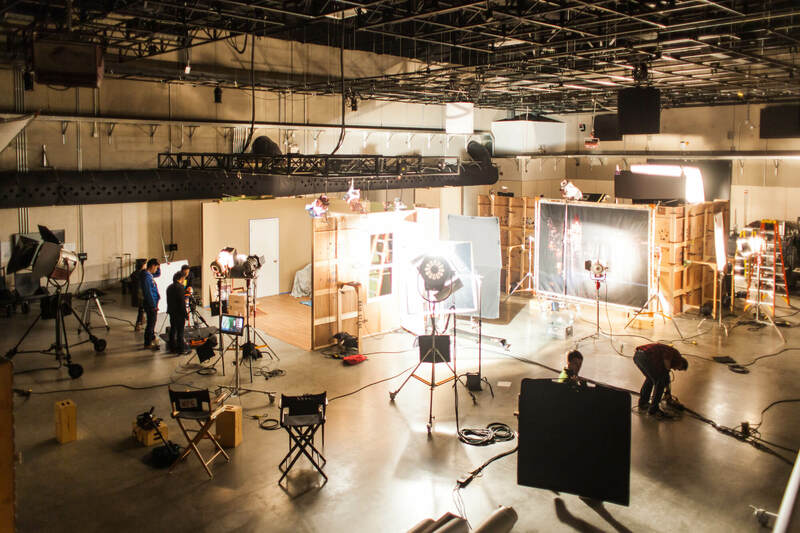 Learn, collaborate, and create in our 35,500-square-foot, professional-quality media-making space with two film production soundstages, a motion capture studio, prep and production spaces, and classrooms. 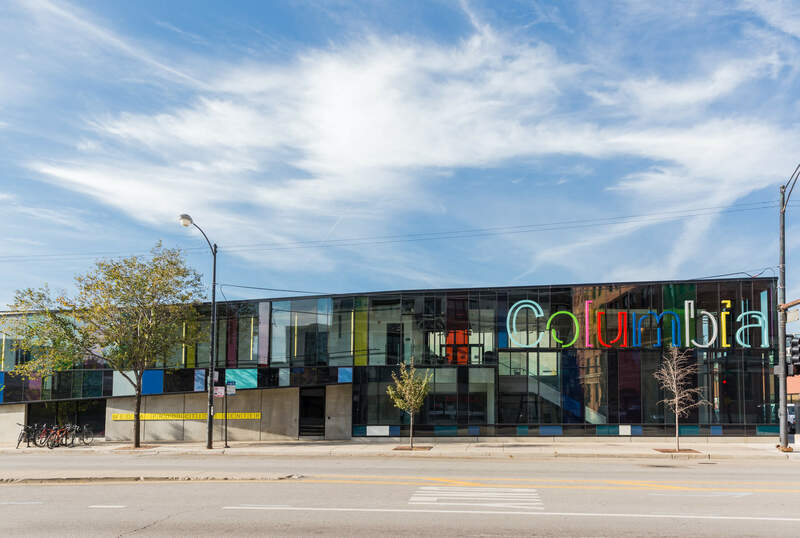 Designed for and used exclusively by Columbia College Chicago, the Media Production Center (MPC) gives you the opportunities to design and build sets, set up lighting, direct productions, capture human movement to use in video games—and more. As a working and learning facility, our classes in directing, lighting, production design, and cinema visual effects all take place in the MPC to take advantage of the professional-level facility and opportunities for collaboration. Experience the protocol and culture of high-end studio film production—by learning and doing—in these professional-quality soundstages for digital and cinema cinematography. Check out professional gear for location shoots and learn how to operate a wide variety of film and digital video equipment. Our student workers also have key roles in the equipment checkout process, setting up gear, repairing equipment, building cables and many other mission critical duties. Students also stage manage and providing technical assistance to classes filming in the stages. Operating hours subject to change. Please call ahead to schedule times for equipment pickup and return. This 2,000-square-foot studio integrates state-of-the-art learning technologies with the study of 3D computer animation, digital filmmaking, and game arts to provide students with a better understanding of human movement and the creation of 3D digital character models. Additionally, a two-person flying rig in the studio allows students to record gravity-defying acrobatic and flight movements in real time. Our motion capture studio includes a 56x14 foot green screen and overhead grid. This multipurpose space serves as a production studio as well as a place to prepare large set pieces, which can easily be transferred to and from soundstages through the loading door. The ceiling grid allows for hanging lights, equipment, or scenery. Students use this space to learn about production design and to build sets, props, and miniature models. 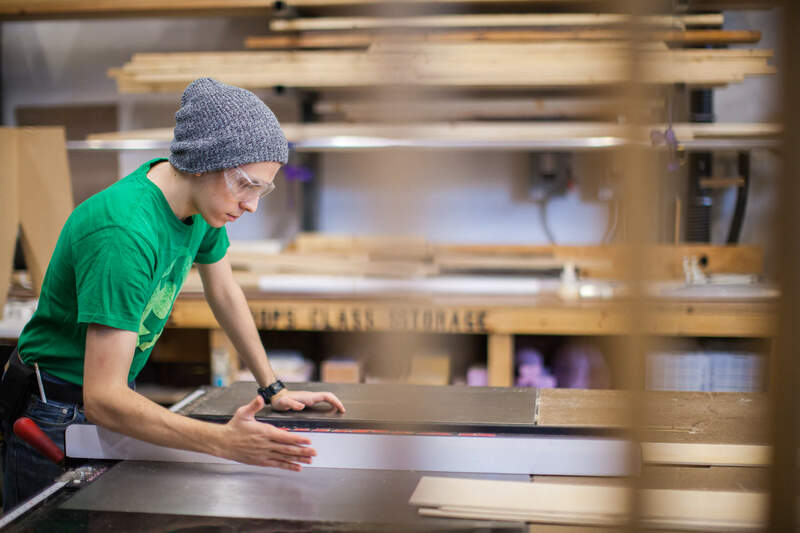 Under the guidance and expertise of the Production Shop coordinator, students develop a wide variety of skills in set construction and production design from concept to fabrication, including scenic carpentry, scenic painting, and prop construction. Student workers assist classes and supervise larger scale productions such as practicums, thesis films, and advanced projects. By modeling professional practice, students gain valuable experience which will benefit them as they move from student to working artist. Operating hours vary. Contact Tom Kesling, Production Design Workshop Coordinator, 312-369-6606, for hours and availability. 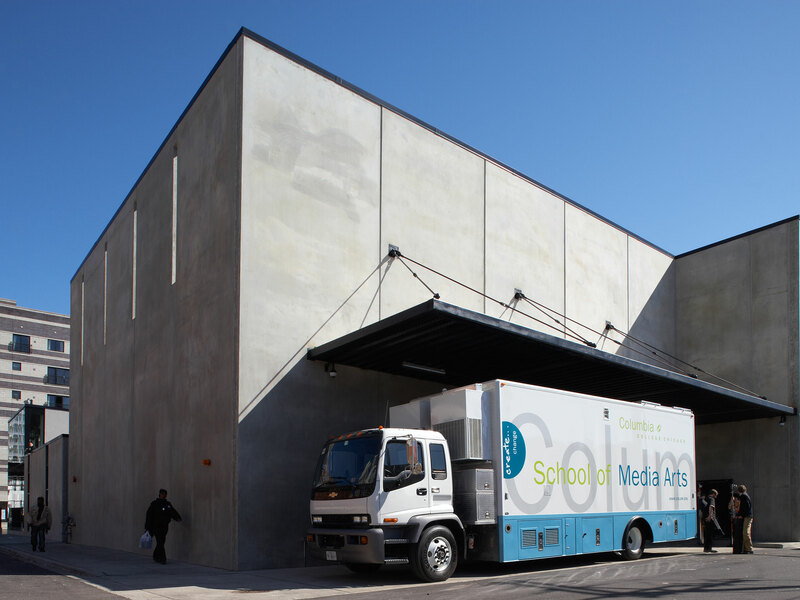 This state-of-the-art “studio on wheels” gives students the opportunity to experience real-world television production at live sporting events, live music production, or even live, local broadcast of college and city-wide events. Dedicated to hands-on instruction in directing, this space was designed to combine learning and participation, with amenities including a center platform for actors and mounts for stage lights.